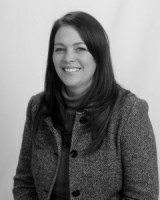 Tracy Coffey, LCSW, CADC is a Licensed Clinical Social Worker and Certified Alcohol and Drug Counselor. Tracy has over fourteen years experience in social work and counseling in New Zealand, England and the USA. This includes working with people with disabilities (children and adults), and their families. Residential and outpatient treatment with both adolescents and adults. Various hospital settings, as and advocate, discharge planner, counselor and social worker. Hospice with both adult, geriatric and pediatric patients.